Do you like Ariel Mommy Real Makeover? Share it with your friends. 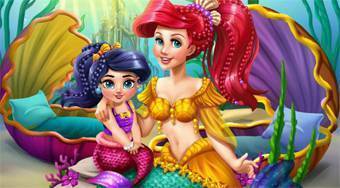 Ariel Mommy Real Makeover - let a mermaid Ariel and her cute little daughter have a perfect care and relaxation.